A Galway bar has won an award for its cajun chicken sandwich – and a Galway café came second with its culinary creation. A GALWAY BAR and restaurant has had one of its creations named Ireland’s Top Sandwich – and the City of the Tribes also scooped a runner-up spot in the same competition. So is Galway Ireland’s top spot for sandwiches? 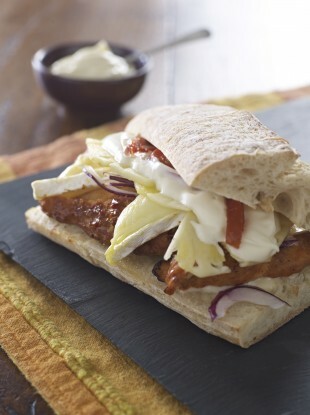 The jury might be out on that one, but the Cellar Cajun Spiced Chicken Ciabatta helped the Cellar Bar and Restaurant in Galway to win an all-Ireland competition thanks to Chef Aidan Cleary’s tempting combination. The Hellman’s Best Sandwich Competition saw food establishments asking their customers to vote for their favourite sandwich, and it looks like Galway people are particularly proud of theirs. There must be something in the water in the West, as one of the the runner-up sandwiches was the Warm Toasted Ciabatta with Beef Medallions from Sinead McCambridge of McCambridge’s in Galway. It was joined by David Magee of Kilkenny’s Hibernian Hotel’s Christmas Cracker. The winners were awarded a bespoke trophy, while all three establishments were given professional panini grills, which will no doubt come in handy for next year’s competition. What’s your top Irish sandwich? PIC: D’you want a feeling with that? Email “Is Galway the top spot for Ireland's sandwiches? ”. Feedback on “Is Galway the top spot for Ireland's sandwiches? ”.